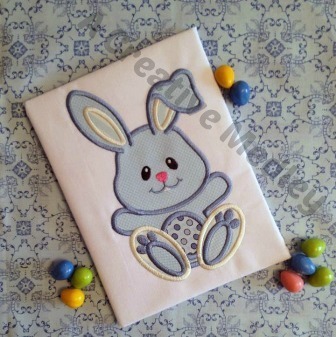 Peekaboo Bunny Applique - 5 Sizes! Great for boys and girls! Earn 4 points at checkout OR buy this item for 80 points. Finish Size 2.36" x 3.9"
Finish Size 4.21" x 7.01"
Finish Size 6.02" x 10"
Finish Size 5.31" x 8.82"
Finish Size 4.57" x 7.56"